Coercive Diplomacy– The Beast in Democracy | Marbella Marbella – Adelante! But as a descendant from the Baltic States, particularly Latvia, I have noted that power does not need to be vested in a single man for a country to fall under the sway of autocracy. And that autocracy can be captured not just by one “wild beast” but by a coalition of governing systems. A case in point is Latvia: it does not legislate state subsidies nor does it regulate party finances more than nominally. Political parties enjoy rather cozy ties to major economic interests that are no different from the sway of vast corporate lobbies that contribute to and control the Republicans and Democrats in America. These unregulated ties between various factions and economic enterprises in Latvia have produced an undemocratic dependency, turning several parties into that wild beast that devours whatever tries to check its habits. Civil liberties, or human rights, are essential to democracies, but the World Bank has indexed countries that have been captured by companies and business interests that infiltrate legislation, regulation, the judiciary, and political decisions based mainly–often exclusively–on economic decisions advantageous to themselves. Consequently everything from the courts to the office of the president, including political parties, parliaments and ministries, become pawns in the play of economic dominion. in parliament that will effect policies to profit their businesses. A consensus of belief among political scientists used to be that if the economy is solid, democracy is guaranteed. That idea has been upset by the growth of prosperity in many countries–China, Saudi Arabia—without any accompaniment of political freedoms. But the greater shock to that belief comes from countries where economic crises trigger political reforms. Brazil’s economic crisis swerved from military rule to a more civil society; Mexico went through some of the same pattern in the 1980s; and Indonesia’s 1997 financial crisis spiraled into political reforms. However, more often crises simply make way for authoritarian rule. Coalitions of integrated elites and despotic leaders become the last resort for a nation made vulnerable by economic chaos. Strongmen and autocratic parties step into the disruption, promising crackdowns on feuding groups within the polity to ensure a stable government, and win popular support and confidence not through violent overthrow but through straightforward elections. Poland, Hungary, and the Czech republic have all elected leaderships that suppress the freedoms of their citizens. The president, prime minister, and the ruling factions in charge start shutting down independent media. Opponents’ revenues are often reduced or divested through co-opting their advertisers, while any dissenting news that trickles out is distorted by reports that disseminate false stories and misinterpret events in order to victimize foreigners, liberals, and other resistant groups. Since elections are the paradigm for democracy, autocratic leaders and coalitions espouse them to validate legitimacy for themselves. Having won an election, such leaders can then claim popular support in subverting institutions with democratic constituents, and strip power from various departments and ministries, dismantle term limits, or increase presidential power. In such cases, those who criticize the ascendant government are smeared as undemocratic, as willfully undermining the people’s franchise. Diplomacy is derailed, coercion becomes the negotiating beast. Even when nations seem economically stable, they are susceptible to cultural exclusion or segregation. The leader or controlling party is in a position to mold voters toward partisan affinities, influencing them to react with hostility against candidates from an opposition party. That is a typical response infecting voters who are ready to excuse autocratic behavior because they dislike the groups and politicians who detract from the policies their leaders support. Within national communities populism can become harnessed to ethnic dominance of one group over another, basically weakening, even neutralizing ethnic minorities. The effect does produce stability, but at the cost of civic liberties, at the demotion of human rights. 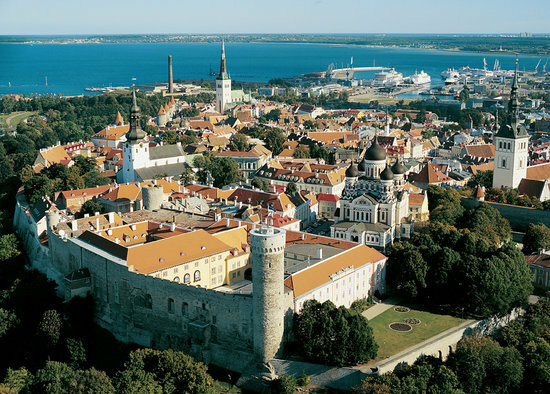 Among the Baltic nations, it is Estonia that has been most able to maintain an inclusive civic democracy. Not as heavily Russified as Latvia during the Soviet occupation, it was less constrained to mount its aspirations. Thus it was able to assemble various informal networks of cultural ideals and intellectual coordinates that operated at the level of grass-roots incentives. The social networks fostered Citizen Committees and independent clubs that reclaimed Estonian history, reviving national identity. Within the EU community Estonia might serve as a fine model for democratic development that could succor civil liberties in several other countries. 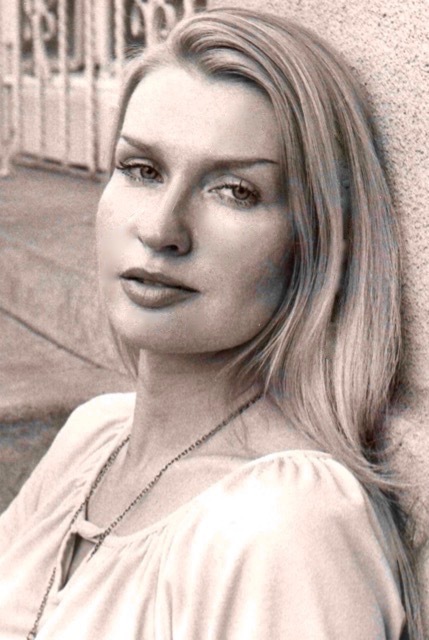 her essays have been selected for 20th CENTURY LITERARY CRITICISM and are included in undergraduate student textbooks in the U.S. During her work as an archivist for Historical Preservation she investigated and nominated multiple sites in the Dakotas to the National Register of Historic Places. Among her most interesting studies were those of the Oglala Sioux at Pine Ridge and Wounded Knee where on December 29, 1890 the U.S. cavalry massacred members of the Lakota Nation.